While dedicated dog boarding facilities are available in most areas, many are adding new services--daycare for their canine visitors who simply need a place to play for the day. You may be asking yourself how this impacts the boarding topic. The answer is not a clear one. Make a few calls to local boarding and daycare facilities, and you'll see what I mean. You'll find everything from the equivalent of a vet boarding stay, to the all-inclusive outdoor play place that dogs' off-leash dreams are made of. Last weekend I addressed The Pros and Cons of Veterinary Boarding. Today, let's venture into your options at other facilities. Hours and days of operations? On a sunny day, how much indoor naptime will my dog take as a part of the routine? What is the size of the outdoor play area, and are there more than one? Is there an area for extensive, long distance running? Are there toys, and if so, what kind? How are they monitored for safety, and resource guarding? Is there an indoor or covered play area for extremely hot, wet, or cold days? Are there shade areas or covered play areas for rain and protection from hot sun? Is there night monitoring? What kind? What happens in case of fire? Are the staff experienced with and trained to handle dog fights, first aid and other complications of group dog play? How are the dogs' kennels cleaned and soiled bedding handled? What is the cost of a night's stay and what is included in this fee? Are there any ala carte items I should know about? Is there anything I can do to get a discount? What extras might I have to pay, and are there perks that I can purchase separately? Is there water play available and how is its use structured for the enjoyment and safety of all? An elite boarding facility will frequently offer a complete menu of dog treats to choose from for naptime, special spa treatments, grooming services and even one-on-one play time with an attendant. Realize, however, that these services may not be as important to Fido as a safe and social play experience. After you do your research and the math, you'll generally find one facility that suits your budget and your Fido just perfectly. What it all comes down to is safety and appropriate daily activity for YOUR dog, whatever his needs may be. Great article on dog boarding Carrie. I have several friends that drop their dogs off on the way to work, just to have them have some socialization and play time. We have several dog park type venues in Atlanta, GA. I've never tried them because my two have lots of fun together. Cherie: I use a local doggie daycare that allows free play for most of the day, with great supervision and necessary grouping by size and activity level. It is the perfect atmosphere for my two pups--one large and boisterous, the other small and "puppy" playful. They enjoy a day of socialization whenever I work out of town, and I return to two pooped pups who are ready for a peaceful evening. It's a win-win. I too think it's important to find that "right" place for your dog. I don't like the idea of my dog being in a kennel most of the time. Of equal importance is a rest period during the day. Although I'm home during the day, I leave Sage for a few hours of daycare so that when I do have to board her, it's not quite as scary. Good information, we have to get the dogs into doggie day care this Sept. while we are in Jackson Hole. I have taken Roxy there, and they were great. But now we have Torrey who is bigger and more energetic. Hopefully they will be just as great with her too. 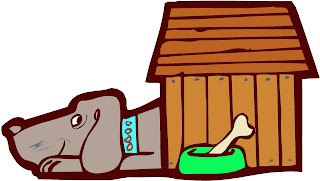 Dog boarding is a good facility for many people who go for work and cannot leave the pet back at home.But, I don't think it is right to keep our pets their since we may never know how do they treat our pets, so according to me its good to keep your pets with you. Thanks for sharing this post to us. This will really help dog owners on how to take good care of our pet. Nice article, Carrie! I love how you included some fantastic questions to ask when considering a dog boarding and/or doggie daycare facility. Taking your dog to doggie-daycare can provide mental stimulation, exercise, socialization and an overall calmer dog. The socialization alone can make it an excellent choice, especially for dog-owners who do not have regular playgroups with other dog-owners. Aim for once or twice per week, but even a few times every month can be helpful. It can be surprisingly affordable too, with prices typically being significantly less than boarding. CheriseFastic1706: If you are anxious about leaving your pet, you might consider visiting a facility beforehand and getting to know the staff. A good facility will let you tour the grounds and ask the questions you need to put your mind at ease. If you find the right facility, you will have nothing to fear. Such a great and informative post. Thanks for sharing this to us and keep posting. This will help a lot of dog owners. Such a great and informative post. Thanks for sharing this to us. This will really help dog owners to select the best dog boarding company while they are away. Thanks for the information! Dogs are indeed great creatures! They are there when you're feeling down. They can cheer you up! It is indeed great to see a dog everyday. Thanks for the really informative post! Love my fur babies! Great article, Carrie! I love the questions you posted. I agree with Houston Dog Boarding - make sure to visit the dog boarding facility beforehand and get to know the staff if you are having any concerns. Get all your questions answered so you can make a choice that is right for you and your pet. Fantastic article! Don't forget to ask about vaccination policies. You want to ensure only healthy pets surround your loved one at the dog boarding facility. This is an excellent post that covers questions I wouldn't have thought of. I know if a boarding facility only had play areas exposed to the hot sun, I wouldn't want to leave my pet there. Something else to consider might be the extra amenities that premium boarding facilities offer such as massages to spoil your pet with while you are away. Excellent article and excellent comments everyone! 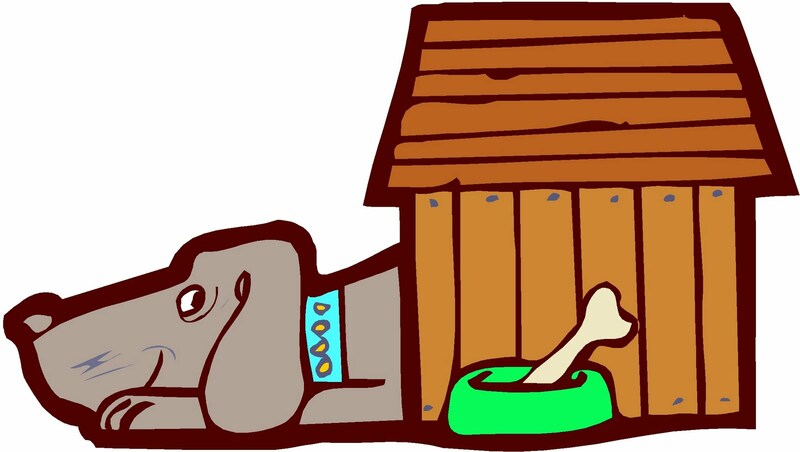 Make sure the dog boarding facility meets all state and local licenses and requirements. These requirements are there for you and your pet's protection. We strictly follow all state/local requirements and operate as a business, not merely as a hobby.